Police after midnight Saturday arrested a 33-year-old Westport man after he threatened a resident with a handgun. At about 12:44 a.m. on Aug. 18, officers were dispatched to a Jelliff Mill Road home on a report of a dispute between two occupants, police said. The report included information that the man, Francis Blair Wylie, had a firearm and threatened to use the handgun on the victim, police said. There, officers saw Wylie and the victim in the driveway, according to a police report. Wylie had the gun on him at the time but wasn’t holding it, the report said. Police took Wylie into custody and charged him with first-degree threatening, a felony offense, as well as disorderly conduct. It was’t clear why Wylie was at the house, what the dispute involved, whether he is related to the victim or who contacted police. Police withheld further information, classifying the incident as a domestic matter. 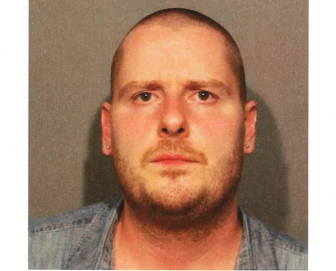 Wylie was held on $100,000 bond and scheduled to appear Monday in state Superior Court in Norwalk.